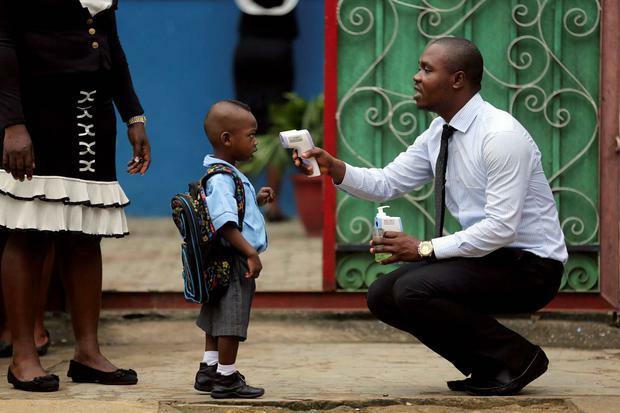 Concern has announced one of its staff members has died in Liberia. The Liberian man, who worked as a community development officer for the Irish aid agency, presented at an emergency Ebola unit to be tested on Friday. He had been receiving treatment for typhoid which has similar symptoms to Ebola. Results of the cause of the man’s death are expected in the next few days. Speaking on RTE's Morning Ireland programme earlier today, Concern's Ann O'Mahony said the man had been working for the aid agency for two-and-a-half years and was a father of two children. She said the 42-year-old had been ill for some time with typhoid and ulcers. It was felt initially that he didn't fit the profile to go for treatment for Ebola. In the end, he wasn't seen for treatment and he died while queuing to get treatment. "We have not confirmed that it is Ebola but we are taking all precautions that it may have been," she said. The fact that he died while queuing to get tested is a familiar story. "Sadly it is a familiar one. "I think in Sierra Leone and Liberia, health services are so overstretched that the testing facilities aren’t enough. The effect on health workers in right throughout both of those countries has been traumatic. "They’re the first line providers of care and they have suffered an awful lot of deaths because they are the carers of this virus. And many of the health facilities have closed down as a result. "So unless you present at a centre with Ebola symptoms, you’re not going to be seen for many of the other opportunistic illnesses you might have. You could equally well be suffering from malaria or flu but you can’t be seen now." Mícheál Ó Scannáil A popular Irish bar in New York was destroyed by a devastating blaze in the early hours of Thursday. Robin Schiller A young Irishman has died after being punched outside a New York bar in the early hours of this morning. Kathy Armstrong More Irish people are now moving home to Ireland than emigrating for the first time since the recession.